The 6 Best Places for Mac & Cheese in Arkansas! Not to sound too cheesy, but it doesn’t get much more American that good, old-fashioned macaroni and cheese! 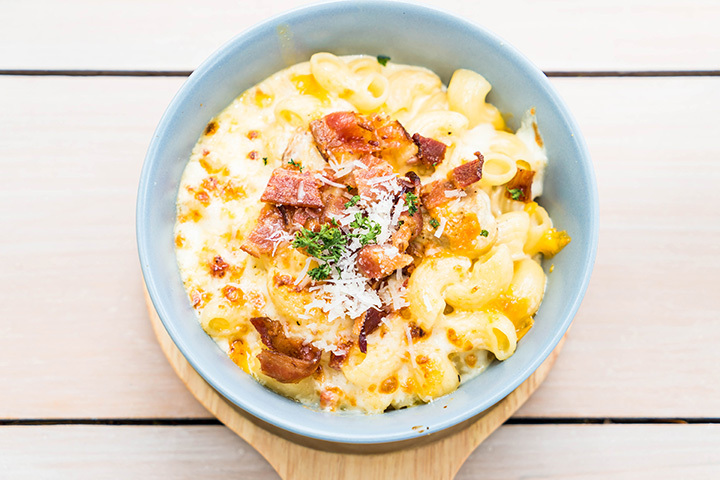 Whether it’s simply a side dish or the main course, and whether it’s classically prepared or loaded up, here are the best places to satiate your mac and cheese craving in Arkansas! A graduate of the prestigious Culinary Institute of America in New York and Executive Sous Chef for Emeril Lagasse, Chef Brian Deloney keeps guests coming back here to eat! The mac & cheese at Maddie’s Place, as well as many other items on the menu, is a community favorite in the Little Rock area. The mac & cheese at Gus’ World-Famous Fried Chicken has long-been Arkansas-famous. If this cheesy goodness wasn’t enough to make your mouth water, then you’ll be happy to know that the chicken here is also fresh and never frozen. Get ready for some good, old-fashioned macaroni and cheese! An Arkansas staple since 1984, Calico County serves up some of the best mac & cheese in the state. The Delta roots of Slim Chickens guarantees an open door with food that is honest and meals that are social. Not only is the macaroni and cheese great, but you’ll find this tasty restaurant at multiple location in Arkansas. Newk’s, founded in 2004, LOVES food: serving it, preparing it, perfecting it. And their presentation of mac & cheese is no exception to that rule. You’ll find Newk’s at several great locations in Arkansas. Great food is just the beginning of the story here at McAlister’s Deli. Some of the best mac & cheese found in the state is served at McAlister’s.